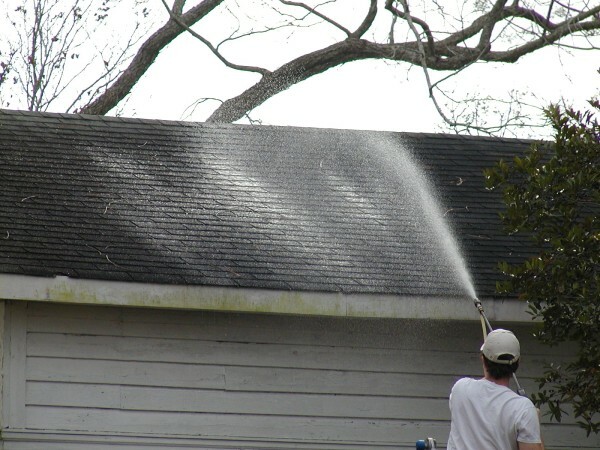 The black streaking typically found on homes in our area where humidity-driven moisture settles on shingles is not caused by mildew or fungus; it’s roof algae. 3M scientists have identified the most common form as Gloeocapsa Magma. Algae spores are carried by the wind, which is why so many houses in the same neighborhood can end up with this problem. 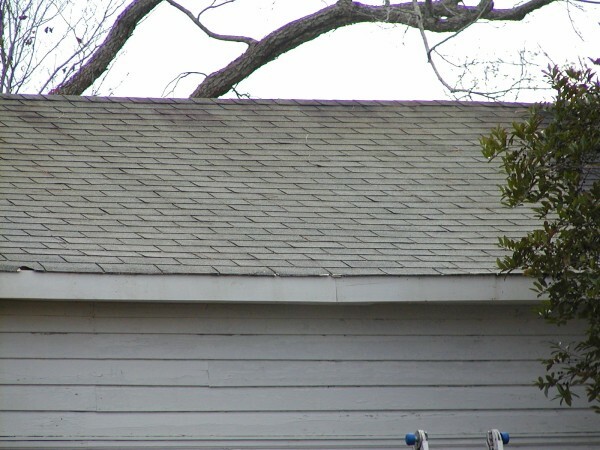 Over the past 20 years or so, this particular algae strain has become hardier, the staining is showing up earlier, is more severe and settles on a greater number of roofs. The Asphalt Roofing Manufacturers Association has written a technical bulletin addressing proper cleaning procedures for asphalt shingle roofs with this growth, and it is those procedures that we follow exclusively. We apply no pressure to the roof. 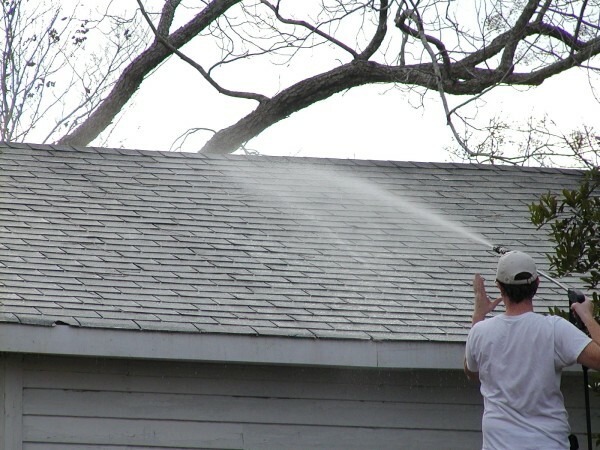 Pressure washers are used, but only to deliver soap and water where it is needed, and the water stream is directed so that it lands on the roof on its downward arc. The roof is thoroughly soaked with the recommended detergent mixture. Since we have no way of knowing what methods of cleaning may have been used in the past, we will avoid walking on the roof if at all possible. If the roof has been previously subjected to high pressures or harsh chemicals, the aging of the roof structure is significantly accelerated. 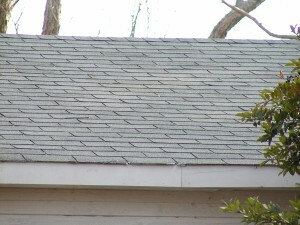 With repeated cleaning using those methods, asphalt shingles are more likely to become brittle and crack. When this happens, there is a greater likelihood of tearing the roof membrane simply by walking on the roof. The soap mixture is allowed to dwell for an appropriate period of time to ensure the best possible early results. 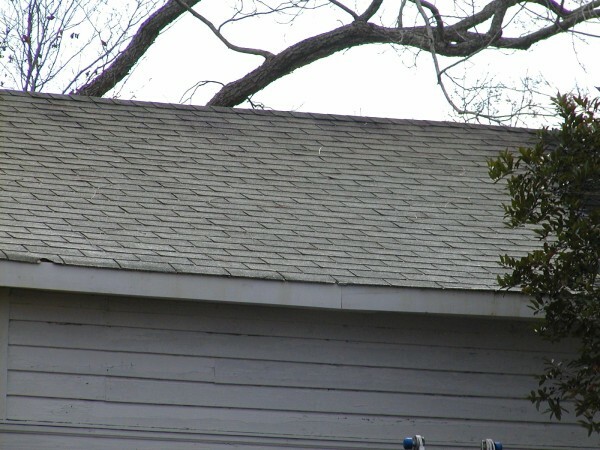 There is always some granule loss due to weathering and other natural occurrences, but by allowing the soap to do the work, those protection-providing granules on the shingles are able to remain right where they belong – on your roof. That is followed by an easy soaking rinse, no harder than a good rain, thoroughly diluting the mixture so that it presents no danger to delicate landscaping as it flows off the roof. The roof will continue to brighten and clean up over the next 30 to 90 days. Each subsequent rain reactivates the soap residue, and gives another cleaning boost until the roof reaches its final clean. One year later, the roof still looks bright and clean, with no sign of returning soon. 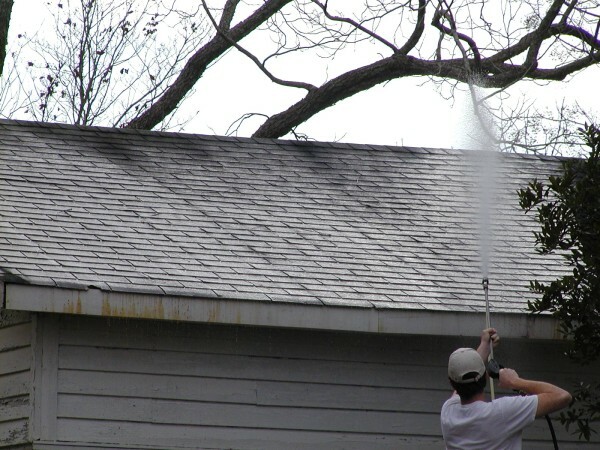 We have researched many methods of cleaning dirty roofs, focusing on safety, effectiveness and longevity over many years, and in our experience this is without doubt the safest, most effective cleaning method for an old, fragile, neglected roof like this one, and it is the safest and most effective for yours.